Many business owners may first turn to a traditional lending institution, such as a bank, in order to secure much-needed funds. However, for companies with bad credit or little cash flow, that avenue can be problematic. 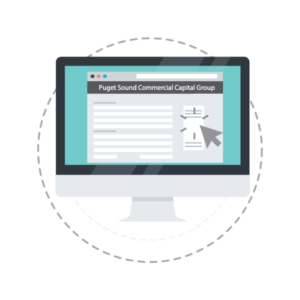 At Puget Sound Commercial Capital Group, we offer solutions such as purchase order financing, which helps businesses such as wholesalers, producers, distributors and resellers secure pre-sold merchandise. In order to determine how much you qualify for, one of our skilled analysts will meet with you to assess your future purchase orders. We customize every transaction we fund, which means we can take into account any specific needs you may have. Our team is committed to your success. At Puget Sound Commercial Capital Group, we pride ourselves on our quality financial products and our excellent customer service. To learn more about your options today, please contact one of our representatives for a free consultation.